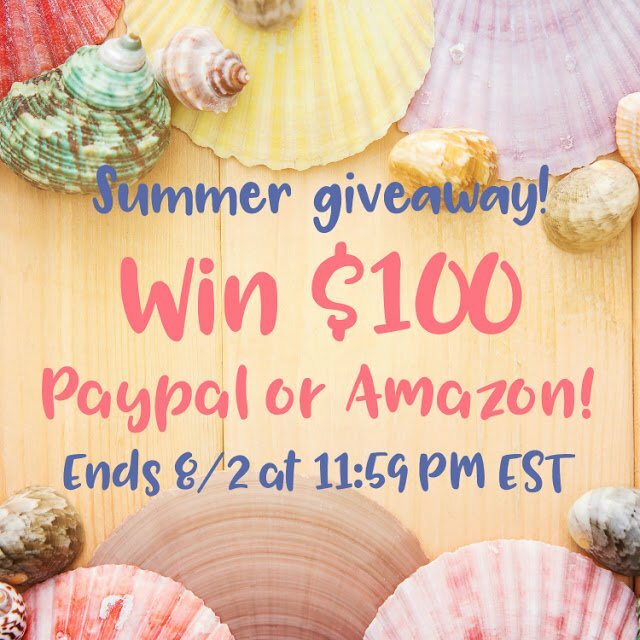 $100.00 Amazon gift card or PayPal is yours to win. Extra cash is always good to have on hand. Ice cream shops and new bathing suits, it all adds up.